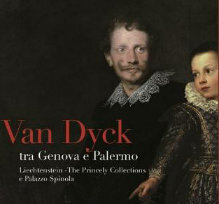 Up to February, 26th, 2017 three Anton VAN DYCK canvases are exposed at GALLERIA NAZIONALE DI PALAZZO SPINOLA in Genova. From Liechtenstein -The Princely Collections the portrait of the genoeses Desiderio Segno, a welthy merchant based in Palermo, is exposed here for the first time in Italy. A cause for a theme tour about the flemish painter stays in Genoa and Palermo in the elegant residence – museum in a Rolli’s Palace. We stay at your disposal for information and for a theme guidede tour!